Click on the picture for a bigger and better view. The body of the peacock is filled with raised chain band. 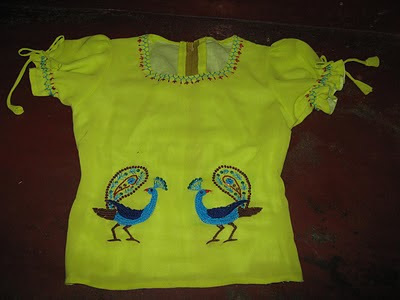 Note the feathers - they are outlined with sequins - we call it chamki work. 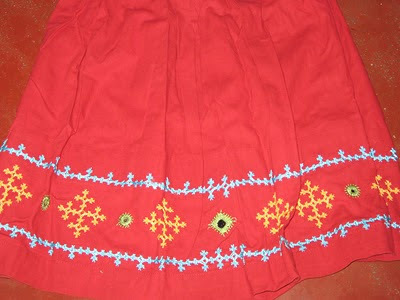 The inner portion is lined with tubular beads - we call it curdanaas ( meaning cut grains). 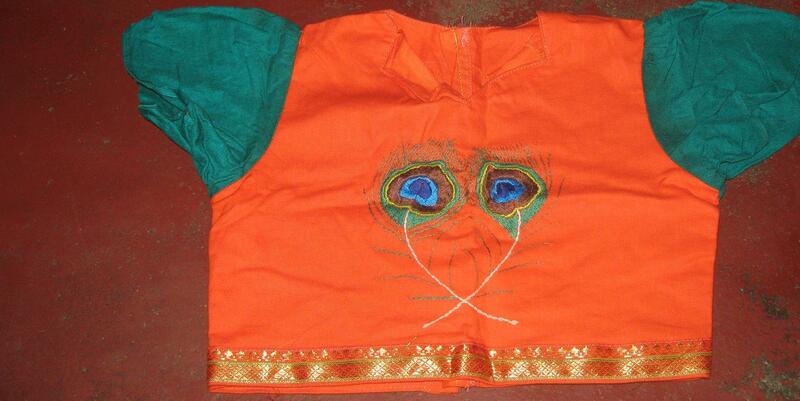 This blouse (choli) has been sewn and embroidered by Sujatha for her niece. What a color!!! 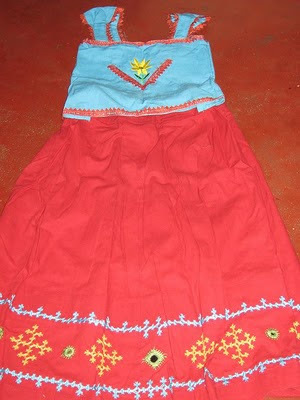 Here's another frock sewn and embroidered by Sujatha . 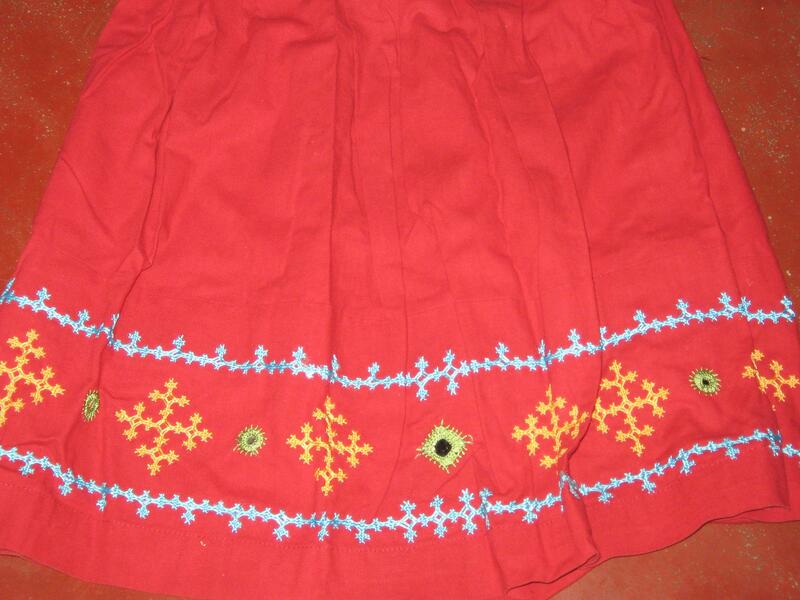 This time its Kutch work, also known as Maltese Cross. We Indians love colors , don't we? Finally ,what you see above is another piece of work from her. 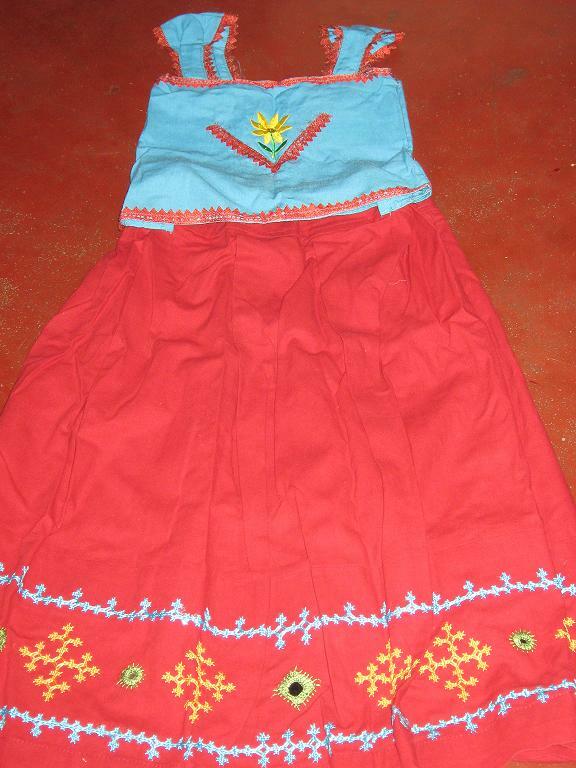 This one is an older piece of work and the dress has been passed on from the older to the younger. Keep up the good work,Sujatha. We hope to see more from you and thank you so much for sending the pictures. Absolutely beautiful. 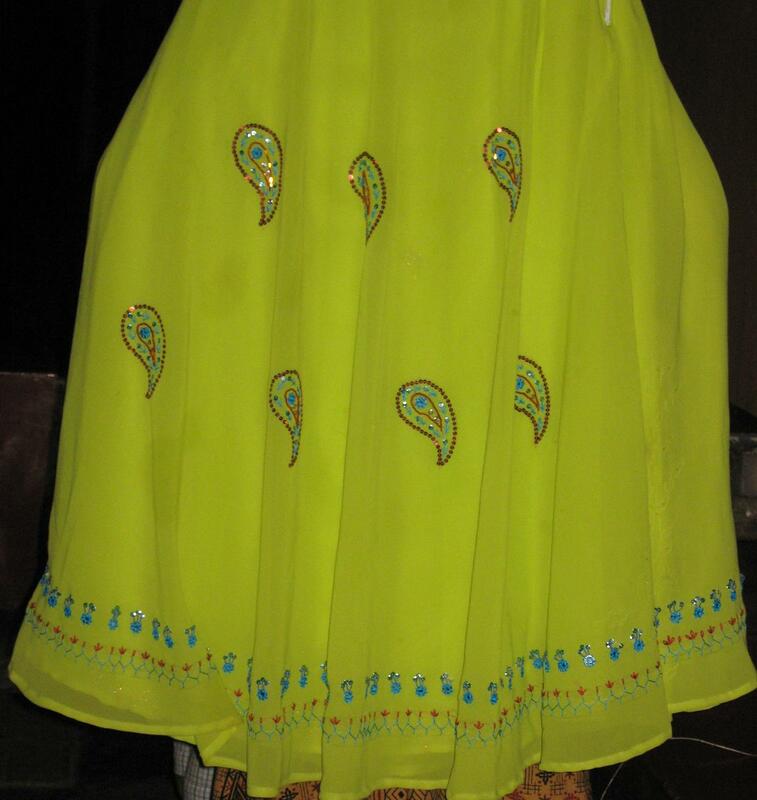 I love all the "embroider" work and the colours are indeed fantastic. Thanks for showing us. Hugs. That is lovely.The kutch work is beautiful and all the others too are really cute.Thank you Deepa for sharing Sujatha's work. I love the colors and the beautiful stitches! It's encouraging me to break out from my usual traditional stitches on white background. That green especially is calling my name! Hi, I am fascinated by your blog. Great work. 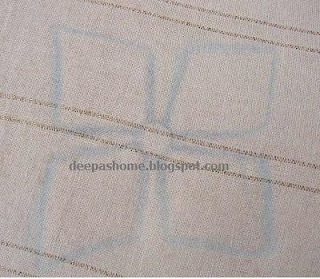 I came across your blog while searching for Sindhi taropa. I tries it successfully .Thanks for your tutorials. Do you know Sickle stitch which is done around round mirrors in Gujarat? Can you show me a picture of this particular stitch ? I may be able to recognize it if I see it.